❝ The wedding arrangements were top notch, we had a very short period of two weeks. The wedding took place in Antalya, but we live in Dubai. Lana Wedding Planner made a real miracle for our family. We met in an office in Dubai, after which Lana has created everything for us, starting with booking hotels, legalizing documents in Turkey, took over all the wedding efforts, makeup and hairstyle for the bride and guests, live music, menu, decoration wedding venue ceremonies, decoration and holding a wedding dinner, photo session, video filming, video filming with the drone and many many more. Everything went at the highest level, we felt like our guests at our holiday, we were completely spared from many efforts. We want to thank you so much for the sensitive and professional attitude of the company. Lana Wedding Planner and its partners and assistants. 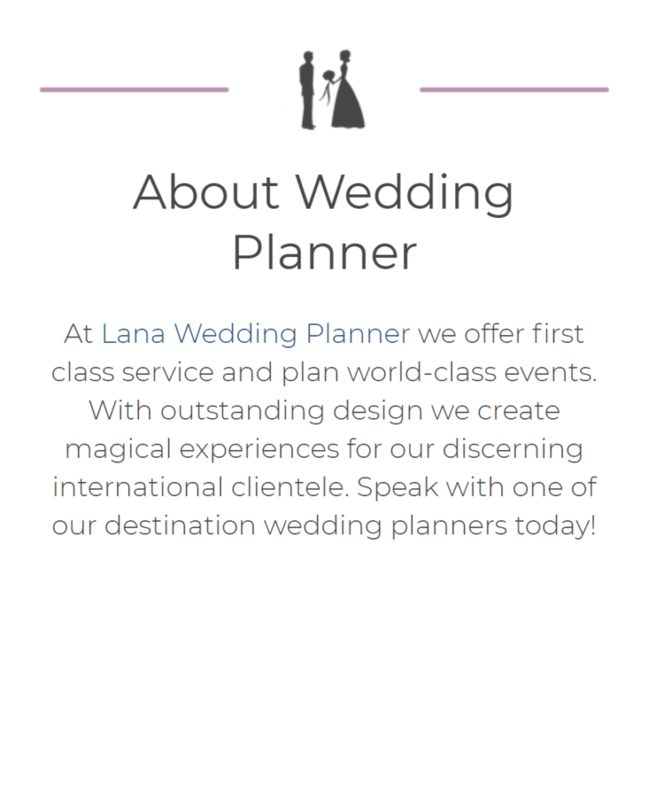 Lana Wedding Planner is the #1 destination wedding planner with access to destinations, venues and partners in Dubai, Italy, Ireland and the Maldives. Schedule a free 1-on-1 session with your personal destination wedding planner.